It’s going to be a busy weekend in Columbus! 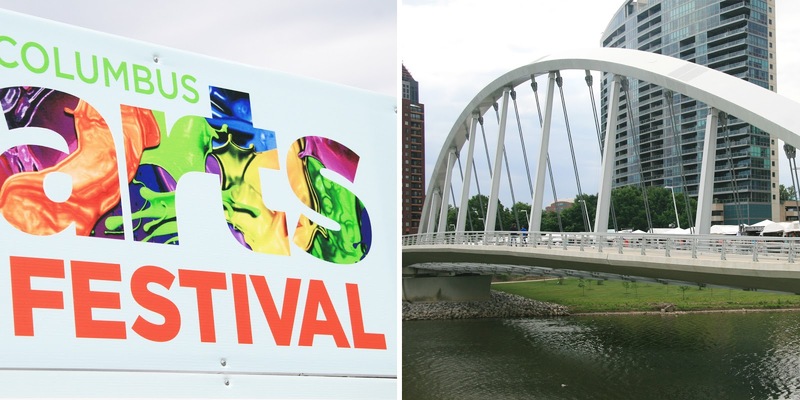 One of the best parts about this city in the summer is on any given weekend there are several awesome events to attend and this one is no different. Running this weekend is an event we try not to miss, the 55th Annual Columbus Arts Festival happening downtown along the Scioto Mile riverfront from June 10-12th. 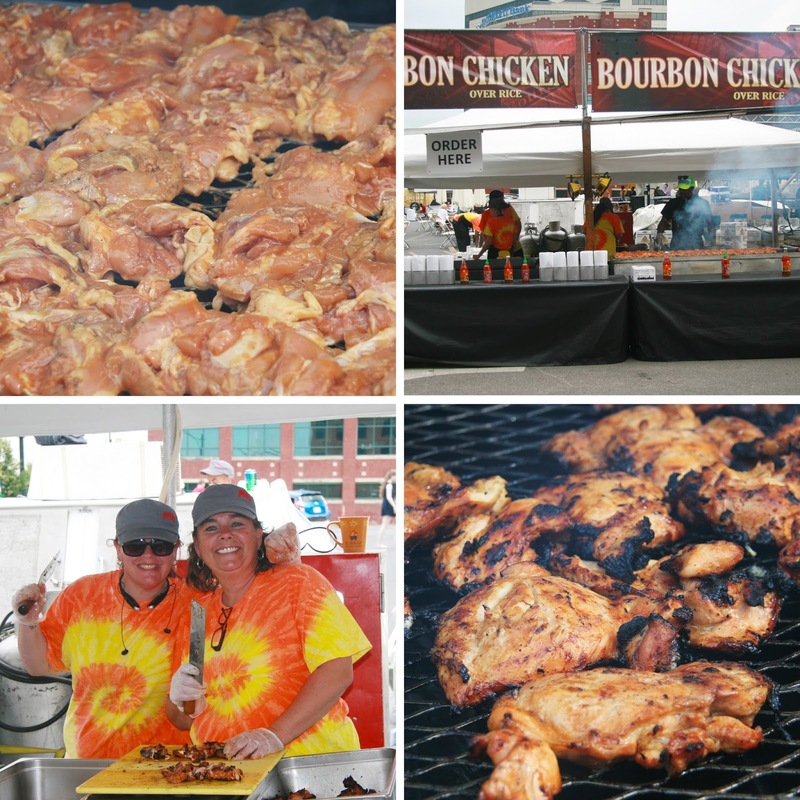 This event brings in HUNDREDS of unique vendors from across the country, as well as musical acts, dance performances, all kinds of food & beverage sales as well as activities for kids of all ages! Admission into the Art Festival is FREE for everybody all weekend and runs Friday & Saturday 11am-10:30pm & Sunday 11am-5pm. You know we don’t miss anything free! I stopped by the festival this morning just as it was getting started and of course I hit the most important part first, the food! 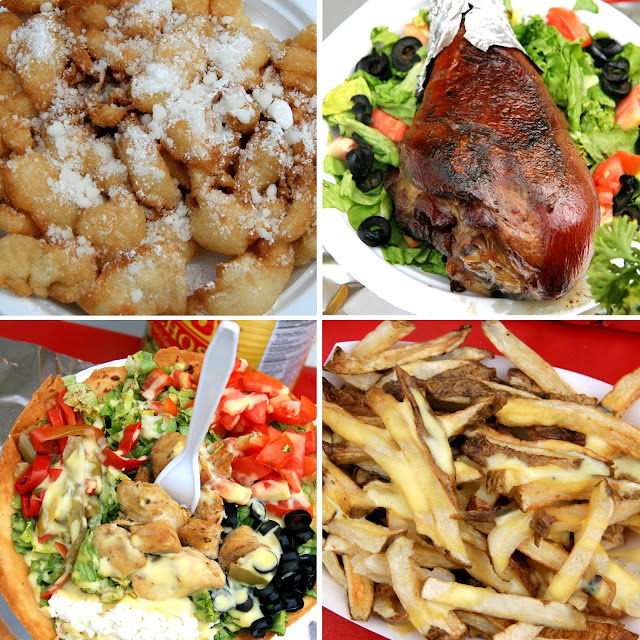 My FAVORITE festy food is bourbon chicken (corn on the cob, funnel cakes, french fries… I don’t discriminate when it comes to festival food.) This stand across the street from the Schiff & Arnold building on the corner of W. Main Street & Civic Center is the best I could find! Who doesn’t love their bourbon chicken made with a smile!? As I was salivating over all of the food, I looked up and was swarmed by these characters…. No idea where they were going, who they were, or why? I just took their picture. The things you will see at Art Festivals. Remember when I said I don’t discriminate? I think in another life I may have been a Carney. I question myself, who am I becoming when I turn down frozen bevvies on a Friday?! I only got to peruse a small handful of the vendors this morning and am hoping to go back Sunday with Evelyn. These journals may have been the coolest thing I came across in my short visit today. Mind’s Eye Journals made by Teresa Merriman are truly one of a kind and SO unique. I have a little project I think I am going to need one of these for. 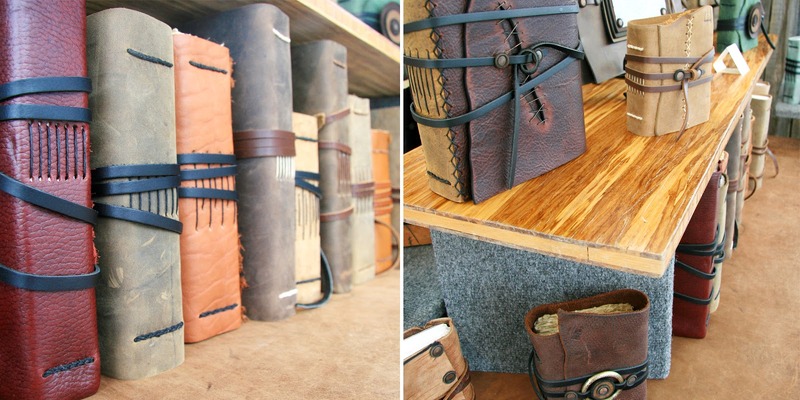 I’ve never seen such a cool handmade journal! If you are looking for something truly one of a kind, check her out! These would make an awesome gift! I love wearing things that nobody else has. Makeshift Accessories is that. Nobody else will have it and everyone will want to know where you got it! What drew me to the table initially was the rings made out of old nails (SO cool!) And then I looked at everything else and fell in LUUUUUST! They use recycled, salvaged, antique materials many that carry a historical significance and turn it into pieces of jewelry. Also their curb appeal, HELLO, I was swooning! The owner Devin Johnson clearly has phenomenal taste. Their entire setup to the old American flag hanging as their backdrop to the rusty toolboxes being used as the display cases, it was perfection. Maybe Mama needs some new jewels because I am starting to see a trend here…. Veronica Riley Martens was the last vendor I stopped and drooled over / spoke to. Her pieces are Tagua (TOG-wa) nut beads. Which are nut beads that are made from the fruit of a palm tree from South American rain forests. Who even knows what a nut bead is?! Much less how to make it into gorgeous jewelry! She’s obviously a genius! She had all kinds of beautiful bright colors and I was so astonished when I found out it was a nut. Any similarity to a Buckeye I wondered? There are a ton of activities all weekend long for kids to participate in. They can meet the Art Shark, play in the Scioto Mile Fountain, or get hands on with arts & crafts at the Activities Village! I did not have my little with me today, so I steered clear of all the mayhem but if you want to read a little roundup of some of the things they offer for kids this weekend at the Activities Village, check out Little Adventures Awaits Columbus Blog and see what Stacie has to say about the adventures her and her little’s enjoyed at the Columbus Arts Festival this morning!